April 7, 2015, 1:20 p.m.
Remembered: Graham Boyd and Phil Peters at the police memorial will will be opened on Thursday. Picture: Chris Lane. 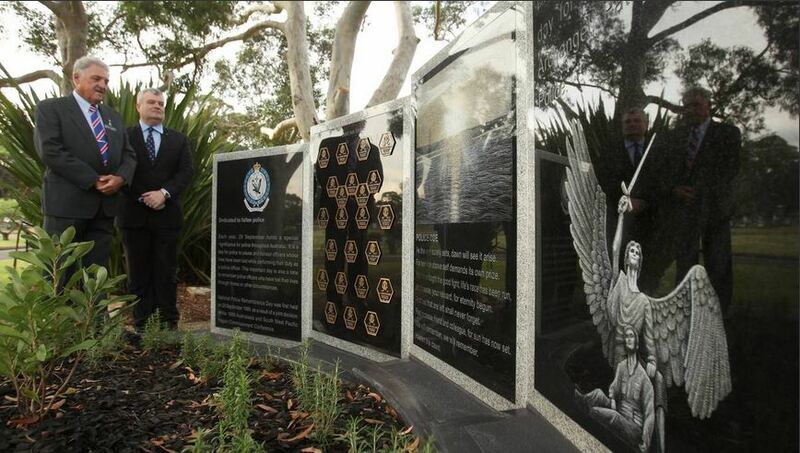 NSW Police Commissioner Andrew Scipione has officially dedicated a new memorial honouring fallen officers in St George and Sutherland Shire. The Commissioner joined local police, families, friends, and colleagues, for the dedication of the NSW Police Memorial, led by Police Chaplain, Reverend David Warner, at Woronora Cemetery on Thursday April 9 ( 2015 ). Commissioner Scipione said the plaques and memorial wall were a perfect way to honour local officers who have made the ultimate sacrifice. 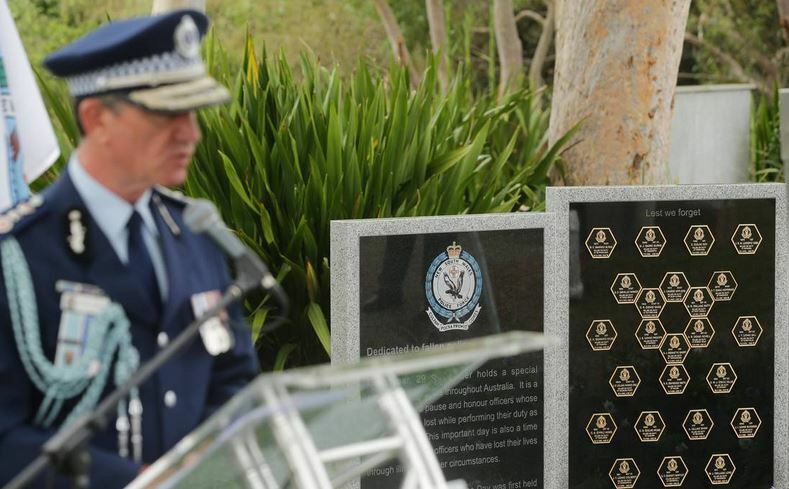 “The NSW Police Memorial at Woronora Cemetery is our first collective police tribute in a private cemetery,” Commissioner Scipione said. “As we unveil the plaques today, we reflect on the lives and achievements of the officers who died while serving this community. “One of the toughest challenges for police is starting work each day not knowing what will happen yet understanding they may have to risk their own life to save another. “It is with great pride I dedicate this memorial and honour the officers, whose names are inscribed, remembering their selfless sacrifice and courage. 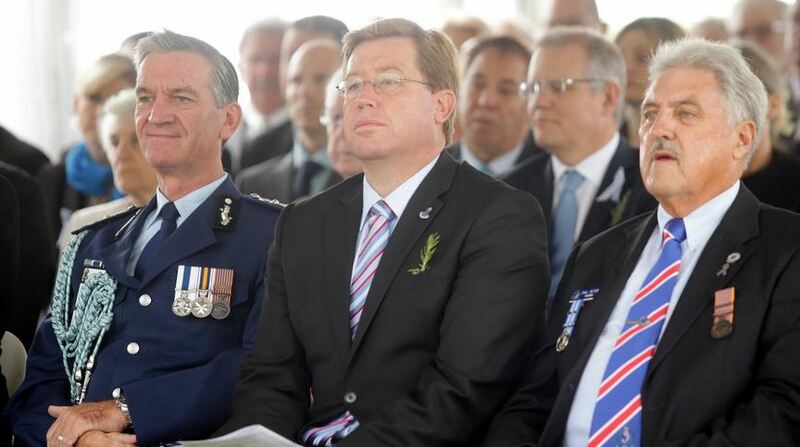 They will not be forgotten,” Commissioner Scipione said. The names of the 24 local fallen officers, who died on duty since 1862, are inscribed on the wall of the memorial. 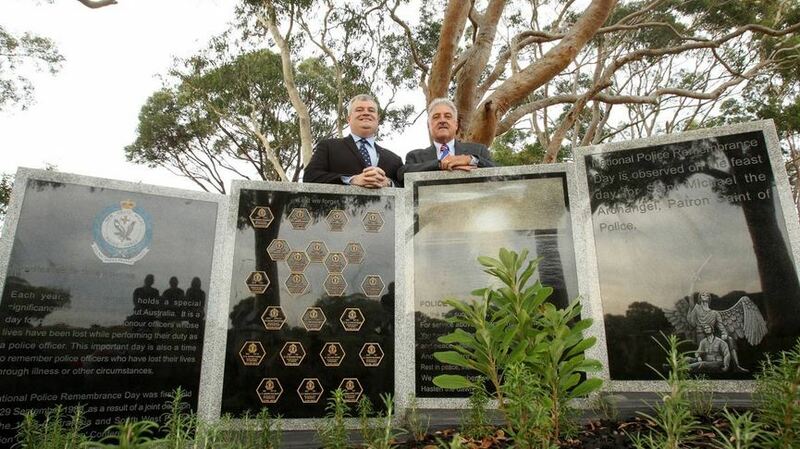 An additional two colonial police killed in 1845, prior to the inception of the NSW Police Force, will also be remembered in the form of separate plaques. 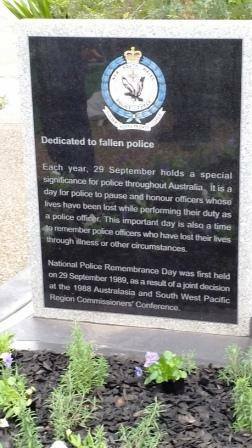 Fallen police officers from the region will be remembered with a police memorial at Woronora Cemetery to be unveiled on Thursday, April 9. 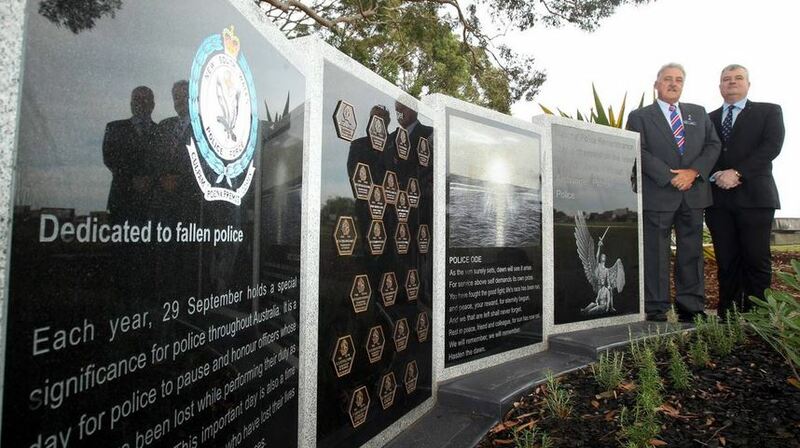 Eleven St George and Sutherland Shire officers will have their names engraved on the memorial alongside 13 other NSW police officers killed in the line of duty. The memorial was the idea of Phil Peters, who chairs the Local Retired Police branch, and retired local commander Henry (Harry) Brennan. It took more than 18 months for the project to be competed during which time Mr Brennan died. Mr Peters said the unveiling was bitter-sweet. ‘‘It’s a beautiful memorial and I’m so proud that we’ve achieved this in 18 months,’’ he said. One of the officers honoured is James (Jim) Affleck who was killed at Glen Alpine in 2001. The senior constable was laying out spikes to stop the driver of a stolen 4WD when the driver swerved, hitting the police officer. Mr Peters said the local memorial was the first of its kind. ‘‘This memorial will perpetuate their memory forever,’’ he said. 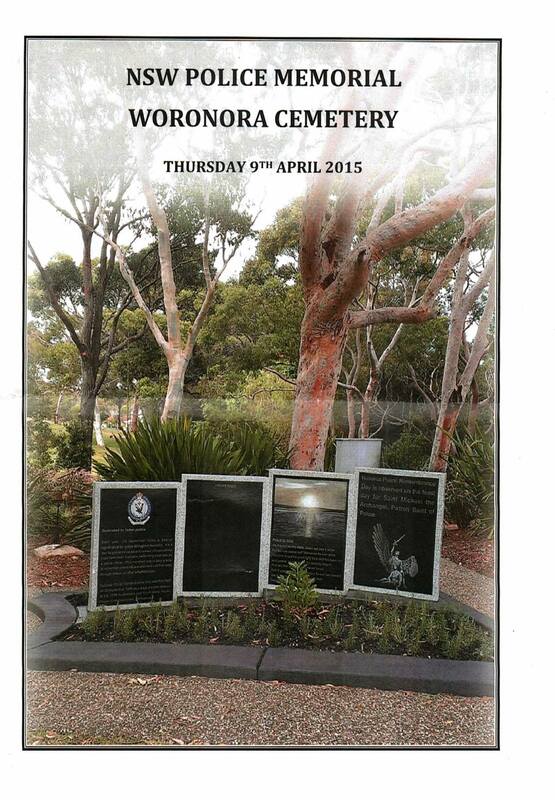 Woronora Cemetery chief executive Graham Boyd said the memorial sat close to a section honouring missing people. ‘‘Symbolically it fitted,’’ he said. ‘‘Police really give their all, so it links.